I haven’t purchased a lot of fabric this year, mainly to save money, but also because I already have a ton of fabric on my shelves. There was one collection that came out this year I couldn’t resist, so I allowed myself to stock up on enough to make a few projects. 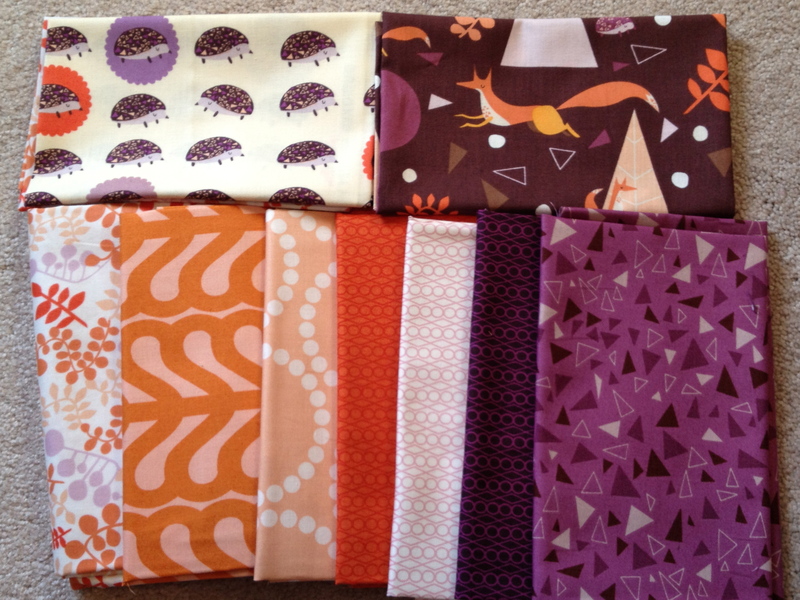 I don’t typically buy novelty fabrics, but then, Outfoxed came out. How adorable! I’ve been a fan of Marisa Haedke‘s artwork and whimsical characters for a few years now. 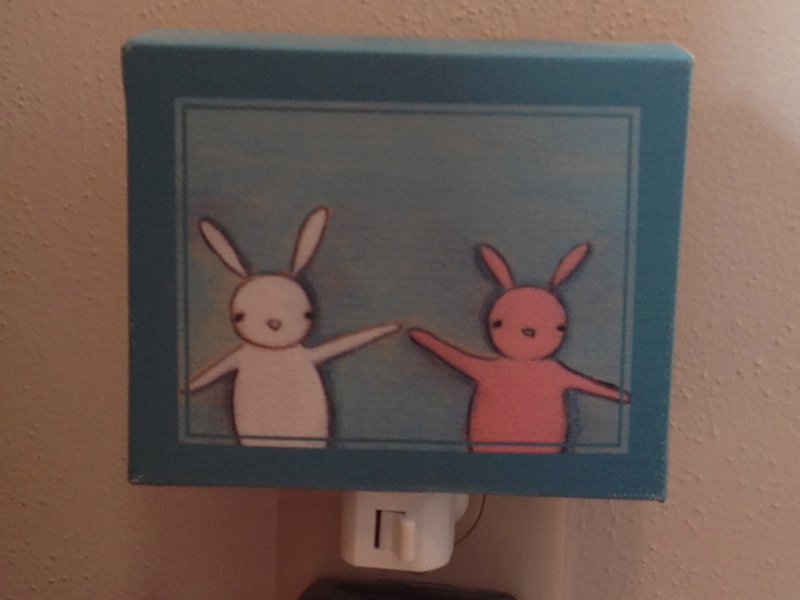 I have one of her night lights and one of her paintings in my sewing room. 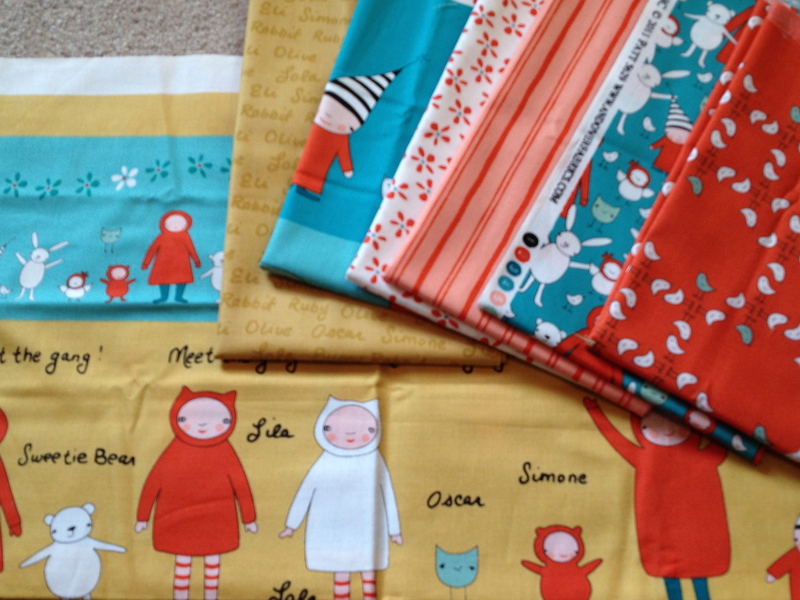 When I saw she turned her characters into a fabric collection, Meet the Gang, I couldn’t resist. Equally as adorable! I bought a fat quarter set of each of these collections, hoping to make a couple fun mini quilts. It’s always inspiring to get a few new fabrics to play with. These are adorable! Love the foxes:) I can just imagine the cute stuff you’ll come up with! I think it’s a great idea to save up for the fabrics that you really love. You’ll never be sorry you bought them if you really love them! Terri, great selection of fabrics! I understand what you mean about not wanting/needing any more fabric, but sometimes there is fabric out there that can’t be passed up! Can’t wait to see what quilts you come up with using these beauties! Fun! I can’t wait to see what you come up with!! LOVE the first photo…so much color and texture pictured there…outfoxed is a fun line, too. I haven’t seen it in person yet. 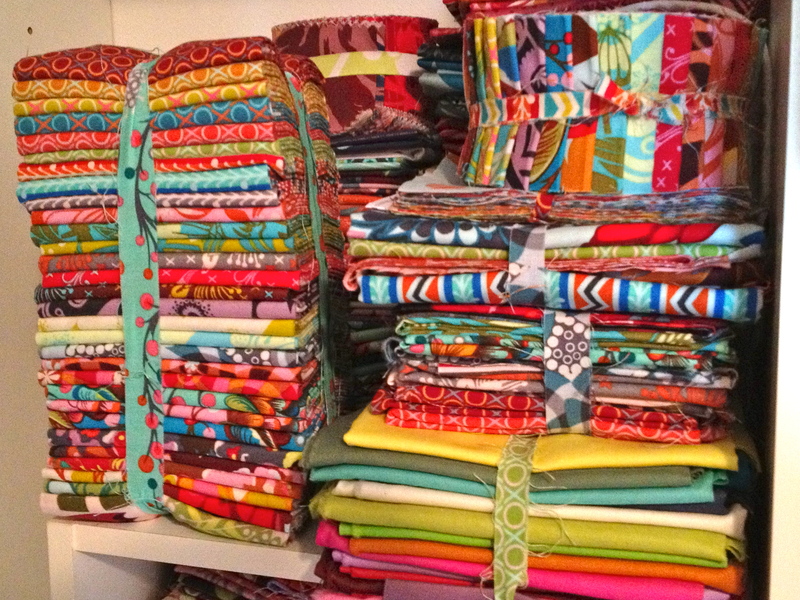 Oh my goodness – such adorable fabric – I love those sweet images on the last photo and there is so much colour in the first photo – how I’d love to dive into those piles! I can’t wait to see what you make with some of them. I had to get some Meet the Gang, too. Was sorely tempted by Outfoxed. I’m thinking of putting myself on a fabric moratorium next year, but it’s painful to even think about. The thing is, I just need to get using some of mine!